Back in 2003 WordPress started out as just a tool for bloggers, and whilst it has now become a full scale CMS and used for millions of websites around the world, WordPress (and Divi) is still a great choice if all you want to do is blog about your travels, food, wedding, favorite WordPress Theme, pet cat,….or anything at all. 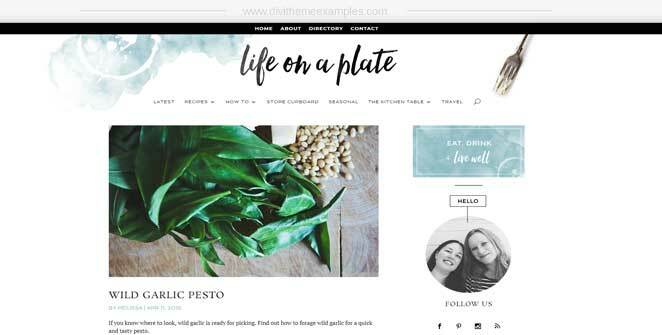 With WordPress and Divi (and the Divi blog module) it is easier than ever to set up your own blog website, so, check out some of these blog examples below and get inspired to start your own blog today with the most popular WordPress theme on the market. Life On A Plate is a foodies blog based in the UK. 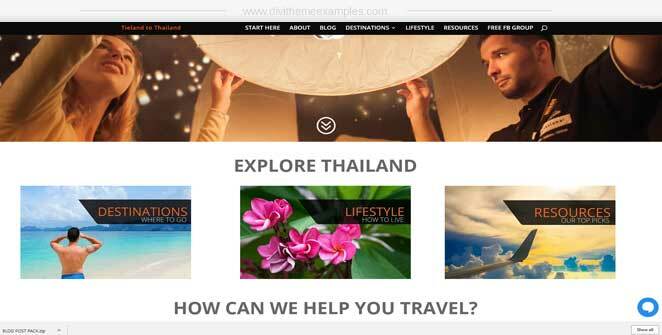 Tieland To Thailand is a travel blogger website that based in Thailand. 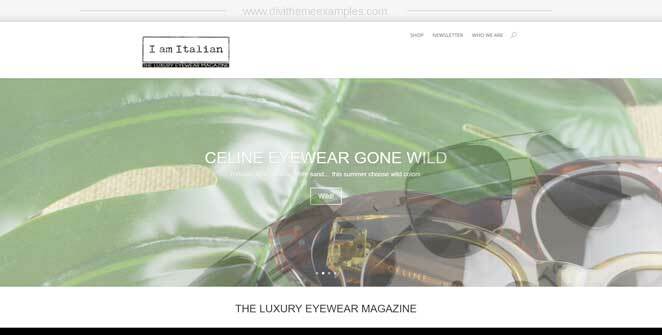 I am Italian which is a Magazine style blog for luxury eye-wear. 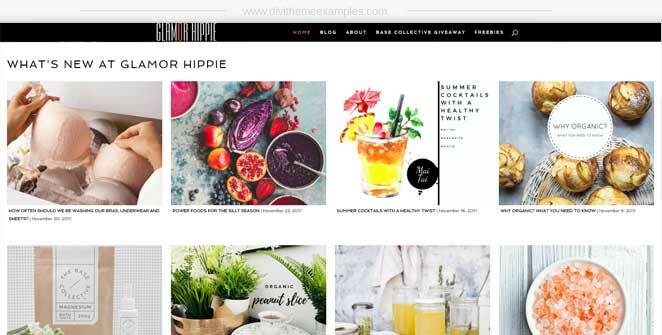 Glamor Hippie is an organic lifestyle blog based in Australia. 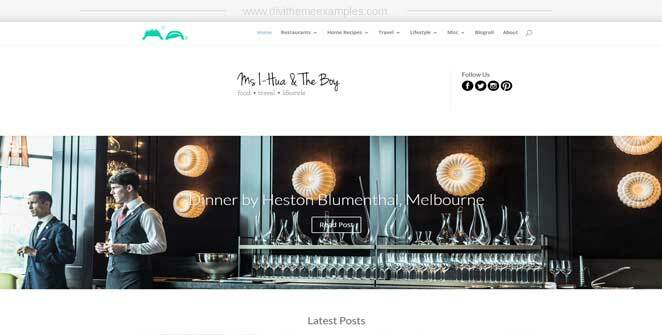 Ms i-hua is a food, travel and entertainment blog based in Australia. 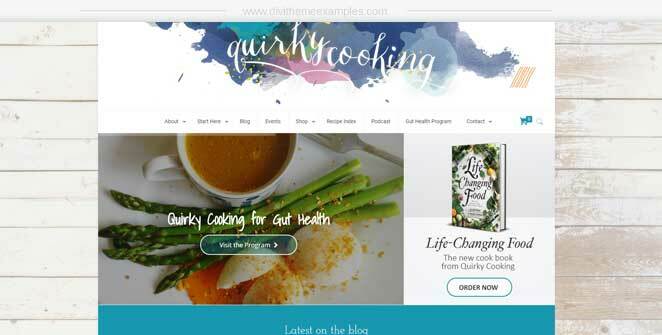 Quirky Cooking is a cooking blog based in Australia. Road To Quiet is a spiritual travel blog. 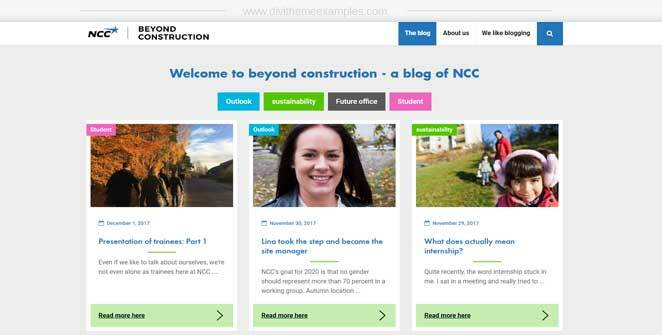 Beyond Construction is a sustainable city planning blogger based in Sweden. 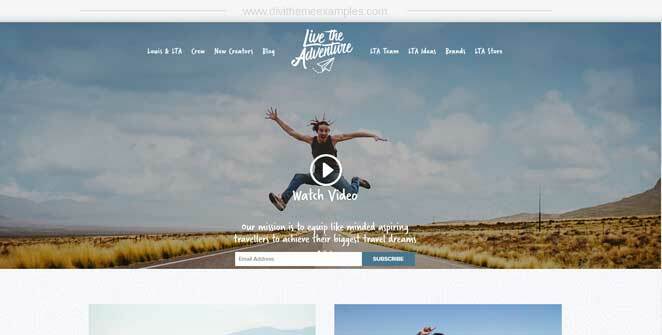 Live The Adventure is a Travel blogger based in UK. 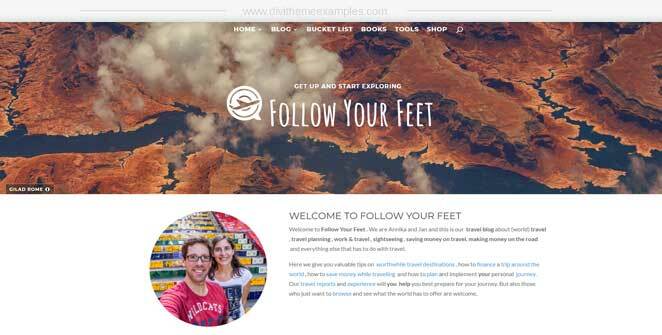 Follow Your Feet is a Travel blogger from Germany. 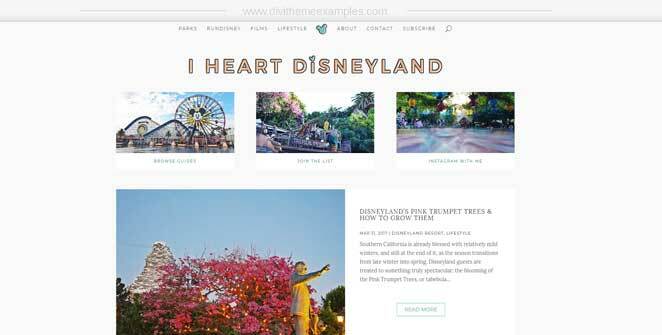 I Heart Disneyland is a blog all about Disneyland, USA. 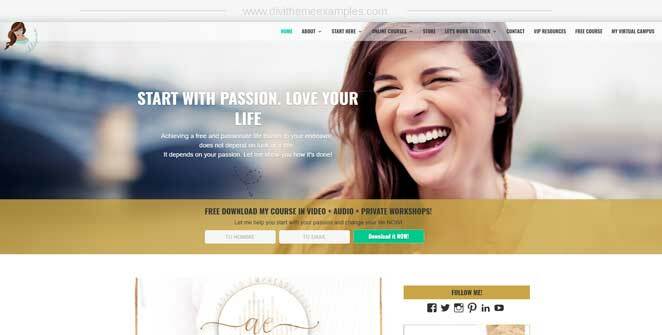 Ximena Delaserna is a marketing blog (in Spanish). 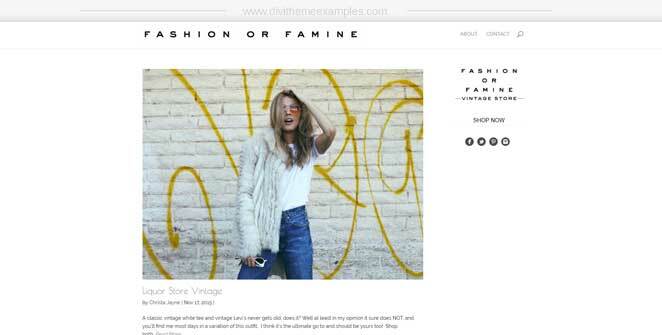 Fashion Or Famine is a Fashion blogger based in USA. 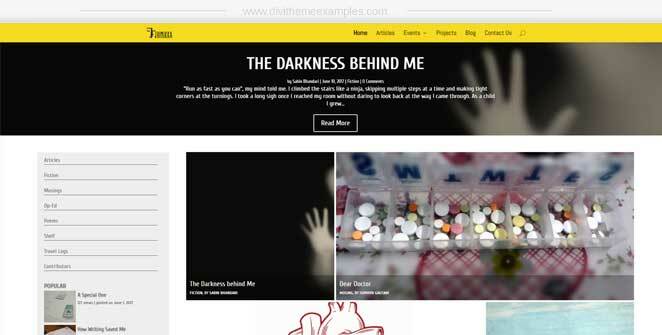 Jhimikka is a collective blog; for young writers. 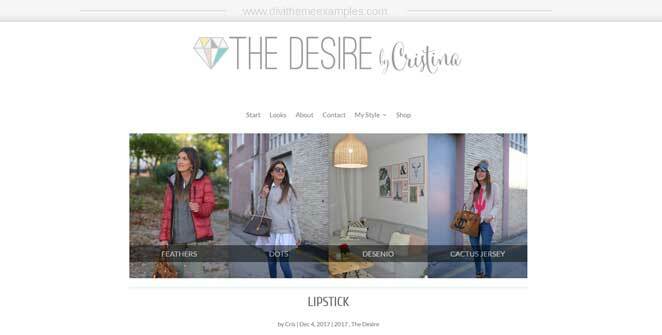 The Desire is a fashion blogger based in Spain. 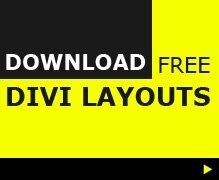 If you are looking for a fast way to get your own Divi blog up and running then take a look at these Divi child themes for bloggers. 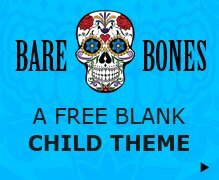 Affiliate links are used to child theme developers. 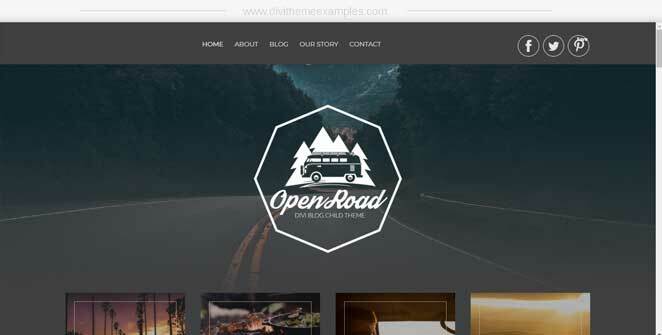 Open Road is a premium Divi child theme for bloggers from Aspen Grove Studios. 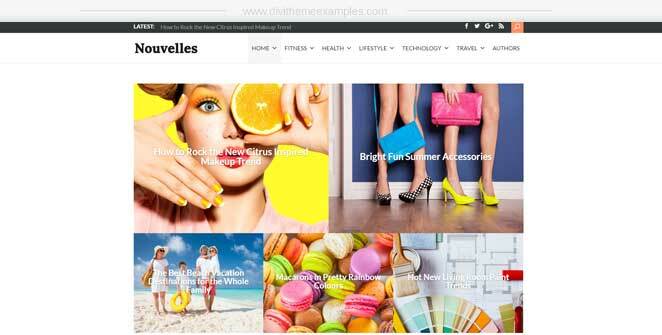 Nouvelles is a premium Divi child theme for bloggers from Divi Diva. 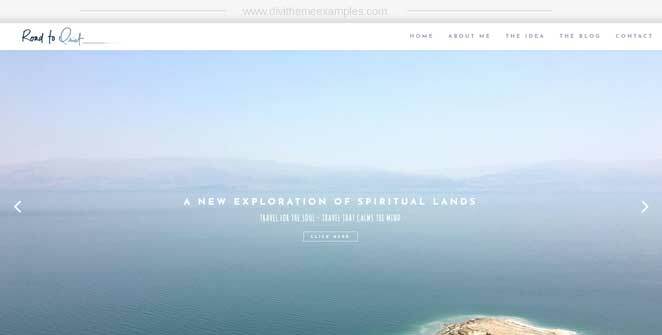 Do you have any more great Divi blog examples?